Churches all over North America are starting contemporary worship services or incorporating elements of contemporary worship in more traditional services. While many books have discussed why contemporary worship is necessary to reaching the unchurched, too few have provided solid, practical help for planning and executing this new style of worship. In Handbook for Multi-Sensory Worship, the worship team of Ginghamsburg Church—recognized as one of the most innovative congregations today in worship planning and development—offers just this kind of nuts-and-bolts guidance on how to prepare for and execute worship in a contemporary key. Included in the handbook are worship themes that are geared to felt needs in the congregation. This book explains how to choose appropriate themes, build a service around them, and identify lections that build on these themes. Congregations will learn how to identify and address the felt needs of the pre-Christian audience in the congregation. The handbook contains 30 complete contemporary worship services and detailed how-to instructions. 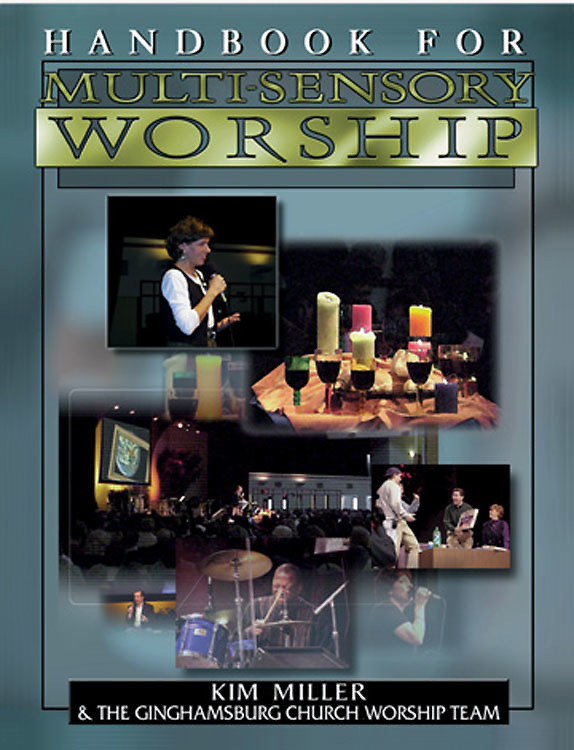 The CD contains a large number of projection images linked to the text of the handbook, and to the Internet, for use in worship services.